The workplace is a key part of improving the health of our community. Most adults spend more of their waking hours at work than anywhere else- with technology making jobs increasingly less active. This makes wellness at work more important than ever. Workplace culture and environment can influence individual behavior and can help employees take up a healthier lifestyle. 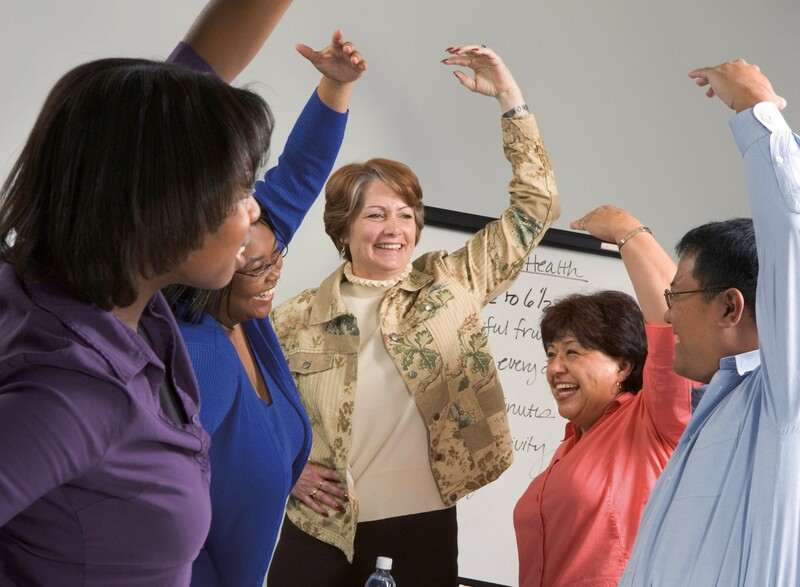 A worksite wellness program helps educate and motivate employees in positive lifestyle behaviors, such as healthy eating, physical activity, weight loss, stress management, smoking cessation, and more. Ideal components include personal health risk assessments; tobacco-free campuses and access to smoking cessation resources; flexible schedules to accommodate more physical activity; onsite fitness facilities or discounted gym memberships; and catering and vending policies with healthy food choices. Employers typically see a $3.00 return on investment for every $1.00 spent on workplace wellness programs even after only three to five years of running a program. Employees who exercise at least one time per week have 33% to 50% lower health care costs. Workplaces with physical activity programs reduce their healthcare costs by 20% to 55%, lower their short-term sick leave usage by 6% to 32%, and increase their productivity by 2% to 52%. 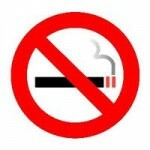 On average, smokers are absent from work 50% more often than nonsmokers. 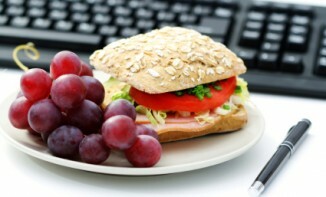 Absences related to obesity cost U.S. employers an estimated $4.3 billion each year. Very few of us eat as well as we could. 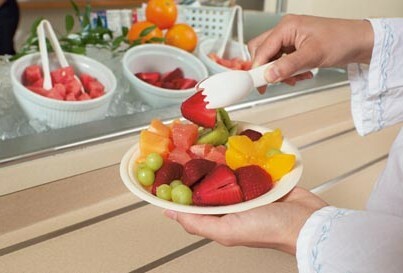 There are some simple, low and cost-free steps employers can take to improve nutrition for their employees. Healthy eating, combined with physical activity, can help employees maintain a healthy weight, be more alert and energetic at work and can also help prevent chronic disease. Remove high sugar, fat and sodium vending machine options. Ensure a wide variety of healthier products in vending-size packaging are available (dried fruit is a great form to include in a vending machine). A refrigerated unit would expand the number of healthful options you could sell (fresh fruit, salads, and low-fat yogurt). A healthy meeting policy that provides guidelines for food and beverages and prescribes activity breaks for longer meetings can help employees stay alert, focused and healthy. Offer nutritious, energy packed snacks such as whole grains bagels, fruits, nuts and vegetables. Sugar-sweetened beverages are the single largest contributor of calorie intake in the United States and a leading factor in obesity. Add office water stations in lieu of soda machines. Vending machines are a common part of our built environments and most commonly offer products high in sugar and sodium. The County of Ventura’s Wellness Program for County employees has produced a poster (large format or small printer-sized format) promoting healthier food and drink choices in these machines. They also created an insert for the poster that lists examples of brand name products with their calorie and sugar content. Anyone can download and print these documents for display in work places, schools, wherever vending machines can be found. They can also be used in educational efforts. When you eat or drink snack foods and drinks, watch out for subtle tricks. A package or bottle, for example, might have “only 140 calories per serving” but contain two servings! Drinking sugared sodas is clearly linked to health problems like diabetes, obesity and dental problems. 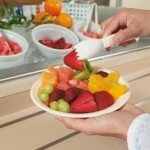 Workplace wellness programs are one of the best ways to reduce costs and improve employee health. They can range from basic programs containing one or two wellness elements to broad programs that include all five of the components recommended by the U.S. Department of Health and Human Services. Workplace lactation policies are good for everyone – children, parents, employers, and society. Breastfeeding reduces the risk of obesity, as well as infections and illnesses in infants, and lowers the risk of breast cancer and osteoporosis for mothers. Providing a breastfeeding-friendly workplace doesn’t only make sense for babies and moms, it also makes business sense. Businesses with lactation policies enjoy lower turnover rates, lower healthcare costs, less absenteeism and higher employee productivity and morale. Additionally, treating diseases and conditions preventable by breastfeeding costs insurers at least $3.6 billion each year. Removing tobacco use and exposure in the workplace is the single most impactful step an employer can take to improve employee health and productivity. Ventura County’s Public Health Office offers free CALL IT QUITS support programs to those seeking to quit smoking. Contact them at: 805-201-STOP (7867).